We will take you distances and places that no other tours offer! "They're accommodating, friendly, interesting and cater to their guests. Will definitely be back for another tour..."
"...we had stops for historical facts, sightseeing, a whisky tasting, and a chocolate tasting... go for it!" Local guides & avid cyclists! 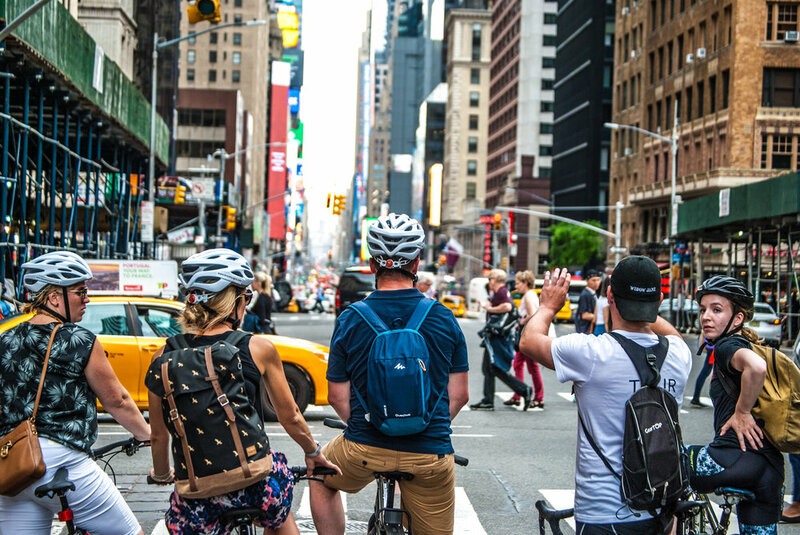 "Highlight of our trip... they brought us gloves... and they scheduled a stop for Hot Chocolate since it was a cold day... very thoughtful..."
"Legit Bike Ride... we wanted to see the rest of NY outside the madness of Times Square..."
We have the best routes, covering more than any other tour operator in NYC. "We did a ride to Central Park from Lower Manhattan... Our guide was circling back to make sure we were always safe..."
"Very friendly and knowledgeable about Brooklyn.. the bike was new & and there were plenty of stops for pictures... so glad that I went on a ride with John & Mike..."
Take in NYC's most iconic places, while meeting really cool people, and make new friends. "...was a superlative experience... will make this the top of my list the next time I visit New York City!" "They offer some of the best bikes... 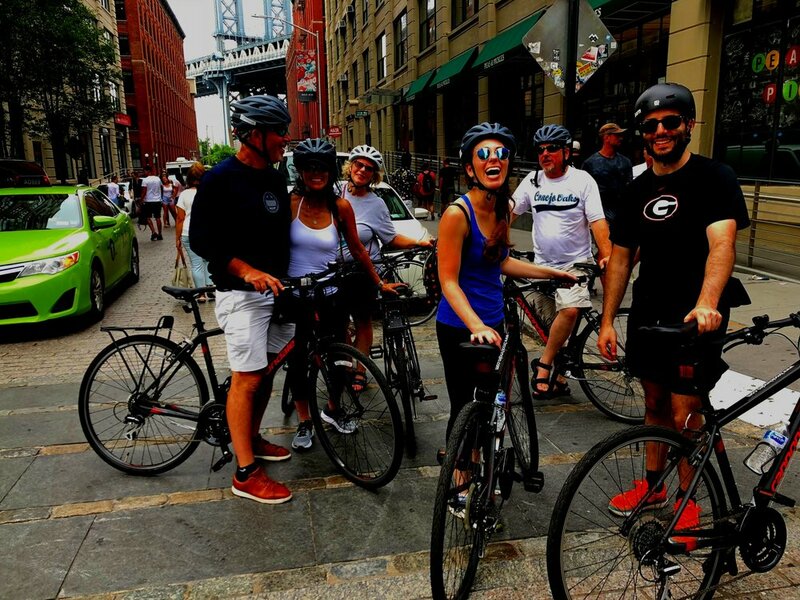 I rode a sporty bike while my wife was given a more comfortable option... great way to ride around New York..."
More routes & tour options than any other tour company- designed by local, avid cyclists. "We had a wonderful time... felt more like catching up with a friend versus taking a tour... Thank you for making our trip!" "Best way to see Brooklyn... the stop at the Chocolate Factory was very fun and gave enough energy to finish the rest of the tour... way more than we expected..."
"My husband and I do bike tours in every city we visit and this was the best... we did the Manhattan Tour and cannot wait to try another one of their tours on our next visit.."
"...What a great way to see a large part of a sprawling metro... thanks for the whiskey tasting on the waterfront, really unexpected..."
See more, ride more, learn more! Cover more miles than any other tours available. Join local guides and immerse yourself.